Our PatientConnect™ patented software is fully customizable with 30 disease platforms such as CHF, Diabetes, COPD, Post Cardiac Surgery, Post Joint Surgery, Cirrhosis, Oncology, Hypertension, A-Fib, Pediatrics, Stroke Recovery, Behavioral Health, Bariatric, Chronic Kidney Disease, and Palliative Care. Educational videos, dietary information, quizzes, pain assessment questionnaires, and other content presented by our software fit the needs of patients and their individualized health plans allowing us to provide nationwide care. 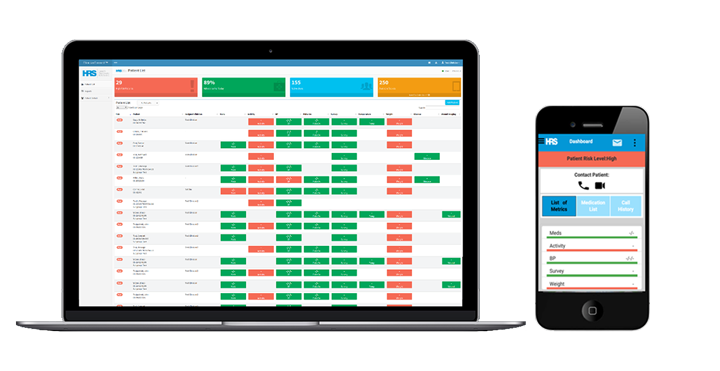 Our ClinicianConnect™ web portal and phone application enables clinicians to view and efficiently manage multiple patients. All patient data is neatly displayed and allows clinicians to make informed decisions. High-risk patients are highlighted so that a clinician can see which patients require immediate attention. In addition to audio calls and direct messaging functionality, embedded video chatting capabilities allow clinicians to interact with patients face-to-face – delivering intimate remote care that patients, family members, and caregivers will all greatly appreciate. 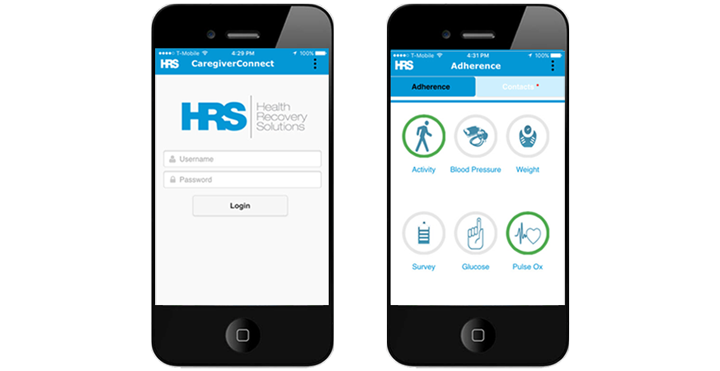 Our CaregiverConnect™ mobile app allows caregivers to stay connected with their family members and check in on their health recovery. With PatientDirect™, HRS is offering shipping and logistics services for telehealth management. HRS handles all logistics and inventory management, outbound to and inbound from the patient. In between patient use, HRS assures unit quality and helps save valuable clinician time. 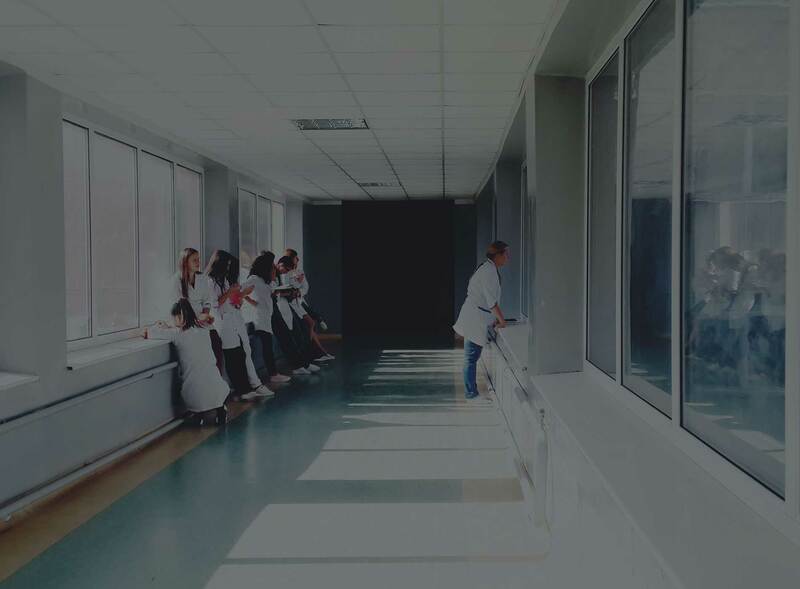 HRS CareConnect™ provides health monitoring by maintaining a clinical call center comprised of case managers, nurses, and social workers who focus on strategically and proactively managing patients post-discharge to improve health outcomes. 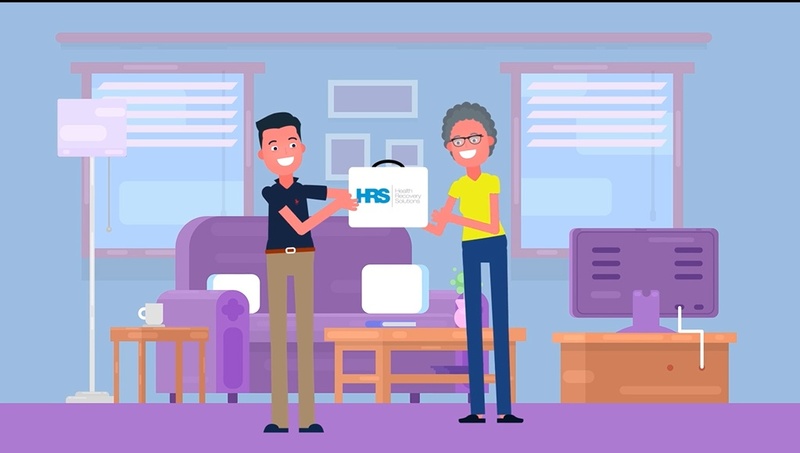 It incorporates care coordination, pertinent health assessments and remote patient monitoring to manage complex and chronic patients to give them the tools and support they need to remain healthy at home. Patients' vital information is securely transmitted to our cloud for real-time analysis before being displayed for caregivers to review. Because our algorithms constantly monitor patients in precarious conditions, emergency medical personnel can be swiftly notified when vital signs reflect a medical risk. Our platform is able to highlight patients at risk for medical complications, thus assisting nurses with triage. In turn, this increases efficiency and helps to ensure that the overall patient care process runs smoothly and effectively. 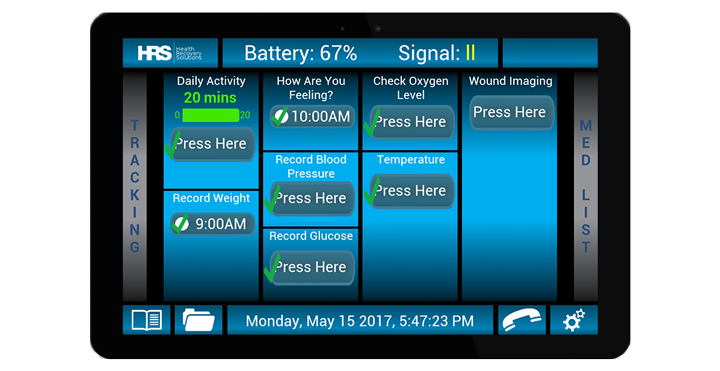 In addition to recording vitals, patients may also take snapshots of wounds for caregivers to view in real time. This enables proper care instruction to be delivered to patients in the comfort of their own homes.